MEMPHIS, Tennessee - The two-time defending Pacific Coast League champion Memphis Redbirds have announced their 2019 season schedule, with the quest for a three-peat set to begin on Thursday, April 4 after a "Battle of the Birds" exhibition game at AutoZone Park against the St. Louis Cardinals on Monday, March 25. Of note, the home schedule concludes with an 11-game homestand from Aug. 15-25, which is the Redbirds' longest homestand since also playing 11-in-a-row at AutoZone Park from June 23-July 3, 2015. In addition, the San Antonio Missions, previously the Double-A affiliate of the San Diego Padres, are now in the PCL as the Milwaukee Brewers' top farm club. Milwaukee's previous PCL team, the Colorado Springs Sky Sox, are now a Rookie-level affiliate of the Brewers. 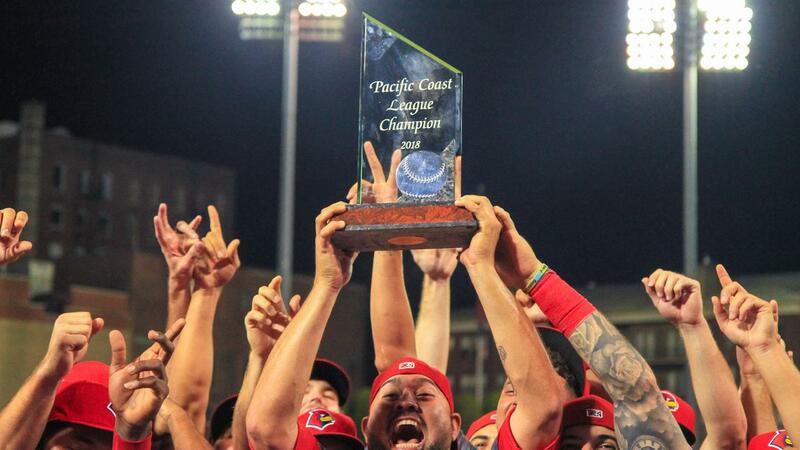 The Redbirds claimed their second-straight PCL title and fourth in franchise history in September and went on to win their first Triple-A National Championship with a 14-4 win over the Durham Bulls, the champions of the International League. The Redbirds went 83-57 in 2018 after going 91-50 in 2017. The 174 wins between the last two regular seasons are the most in a two-year span by Memphis professional baseball clubs since 1933-34, and the back-to-back league championships are the first by Bluff City pro baseball teams since the Memphis Chickasaws in 1952 and 1953. Additional information about ticket on-sales, promotions, theme nights, and giveaways will be available in the coming weeks and months.